Home gym equipment and systems are great ways to get a workout in at home, or perform maintenance work when you’re crunched on time. Bowflex is one of the popular home gym equipment brands, and the offer home gym equipment that utilizes minimal space, provides a lot of versatility, and has low resistance on the joints due to resistance power rods. In this article, we’ll be taking a closer look at the the Bowflex Blaze and all of the specs that come with it. 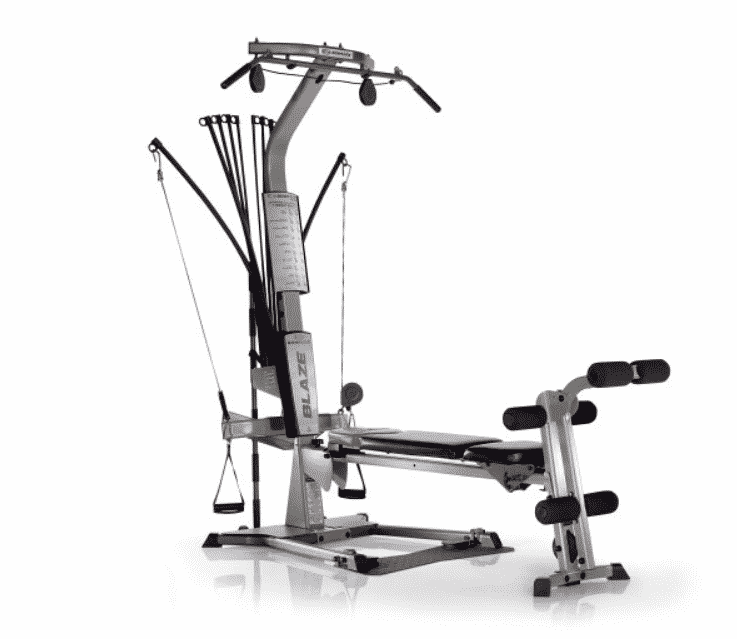 The Blaze is often regarded as a beginner/intermediate Bowflex system, so it can be useful for a wide variety of folks. The Bowflex Blaze could be a useful piece of home gym equipment for a couple reasons. First, it’s pretty versatile in terms of providing someone with multiple workouts and exercise options. The Blaze provided a lifter with the ability to perform over 60 exercises, which is a decent step up from the Bowflex PR1000. In addition, since the Blaze offers various settings and accessories, then a lifter could be creative and possibly come up with more exercises than what’s provided in their user manual. Another useful characteristic of this machine is the educational content that comes with the Blaze. Unlike the PR1000, this machine comes with a 20-minute Bowflex workout DVD, and an in-depth user manual that dives into the instructions on how to perform each exercise. This is a cool factor for the newer lifter who may need some direction in their workout, or help with setup and form. In terms of resistance, the power rods on this machine allow up 210 lbs of maximum resistance. This should be plenty for most beginning and intermediate home gym users, and the Blaze also allows you to add more resistance rods (up to 410 lbs sold separately) if 210 lbs isn’t enough. Power rods can be useful for someone because they help limit stress on the joints, which can beneficial for one’s longevity in the gym. The power rods also come with a 5-year warranty and can be replaced due to any manufacturing issues. Additionally, these rods weigh less than normal weights, so transporting and moving this machine is slightly easier than your standard home gym equipment. 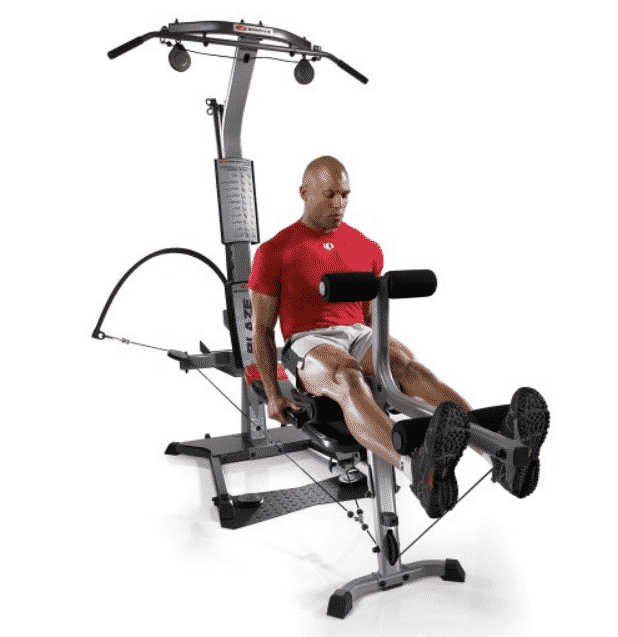 Is the Bowflex Blaze Versatile? When it comes to home gym versatility, the Bowflex Blaze is a very versatile piece of equipment. This machine provides someone with over 60 different exercise options, which is plenty to perform a full-body workout, or individual body part workout. Below are a few of the Bowflex Blaze’s equipment characteristics, along with what type of movement/exercise they’ll allow one to perform. One area where this piece of equipment may lose some versatility points on is the amount of space it takes up. The maximal dimensions on the Blaze come in at 8′ 4″ and 6′ 6″, which won’t be ideal for those living in small spaces, which is similar to other beginner Bowflex models like the PR1000. But on a positive, the Blaze’s bench folds up, so you can save a little space with this attribute if you don’t want to leave it down 24/7. The Bowflex Blaze is generally pretty easy to use, especially for the beginning lifter who may not know their way around different workouts. Since it comes with an instruction manual and DVD, then someone brand new to working out will have starting point. Also, the manual can be helpful for someone building their own workout and trying to find certain exercises to target goal oriented muscle groups. In addition, this machine can both be useful for someone using it as their primary means of exercise, and someone who needs it as a maintenance tool. With the 210 lbs of resistance and instruction a manual, one can either follow Bowflex’s pre-made workout, or easily design their own workout to fit their goals. The pricing for the Bowflex Blaze comes in around $720.00, which is a decent price for the attributes that come with this machine. 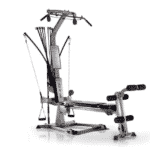 If this machine is your primary workout tool, then the price is even better for what it has to offer. This machine allows you to perform over 60 exercises, so you’ll be able to achieve multiple workout goals for your money. In addition, Bowflex offers some pretty good warranty characteristics. The Bowflex Blaze comes with a decent warranty for a home gym. Their power rods have a 5-year warranty, so any snapping or manufacturing defunct will be replaced by them free of charge. In addition, the frame of the machine has a one-year warranty, and the additional accessories 60-days. The Bowflex Blaze is a versatile home gym that provides someone with the option of performing over 60 exercises. It provides adequate resistance for most beginners and intermediate gym-goers, and has the potential of being someone’s primary workout tool. For the advanced lifter, then this machine may fall a little short in terms of providing the resistance they need. If you have adequate space of 8′ 4″ by 6′ 6″ and need a versatile piece of home gym equipment, then the Bowflex Blaze may be a good option for you.